Instrument of Chaos, the concluding book in the Symphony of the Cursed trilogy by Rebecca Hall is available from today on all major eBook platforms. Mitch, Amelie and Nikola arrive in Dunedin in New Zealand to start their first year at University. What could possibly go wrong? Well, for one thing the Angels are back and they’re looking for Nikola. The Symphony of the Cursed trilogy by Rebecca Hall is being released as unabridged audiobooks by Tantor Media Inc. narrated by Matthew Lloyd Davies. Instrument of Peace, the first book in the trilogy, is now available to buy as a downloadable audiobook from Apple iTunes and Audible. The second book, Instrument of War, will follow later this year and the final book, Instrument of Chaos, will be available in January 2018. 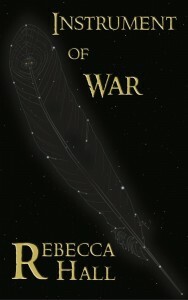 On Risingshadow, Seregil of Rhiminee has reviewed Rebecca Hall’s latest novel, Instrument of War, the second book in the Symphony of the Cursed trilogy following on from Instrument of Peace. Seregil enjoyed Instrument of Peace (see his review here) and says he was excited to read Instrument of War. So it’s just as well that it is “just as good” and is an entertaining read for those who love “exciting and fast-paced YA fantasy fiction”. In fact he says it not only lives up to the first book but “even surpasses it”. 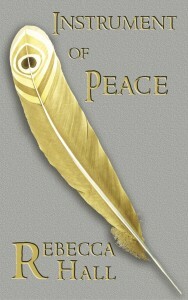 The book is a “well written sequel” and he says that those who have read Instrument of Peace will feel immediately at home with the story and “be delighted to immerse themselves in it, because the author delivers a good story”, adding that she “wonderfully maintains tension and excitement in this novel and goes boldly forward with the story”. 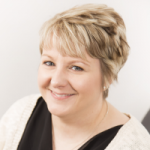 This book “deepens the story arc” offering exciting and thrilling moments because Rebecca “keeps on building upon what she created in the first novel”. Seregil says that, although many YA novels have been written about magic schools and angels, “this novel stands out due to its interesting story and exotic setting” adding that the backdrop of New Zealand locations “adds lots of freshness to it”. In conclusion, Seregil says that Instrument of War is “one of those rare novels that will captivate younger readers from the very first chapter and will make them read it in one sitting, because the story is immersive”. He is now looking forward to reading the concluding novel Instrument of Chaos (which will be published early next year) because “the story arc is fascinating”. His final verdict: Good, intriguing and well written YA fantasy that is exciting and fast-paced entertainment for readers of all ages. Nine Worlds 2017 – we had a blast! The first sight to welcome attendees was the sign inviting us into the convention centre and leading to the registration desks. 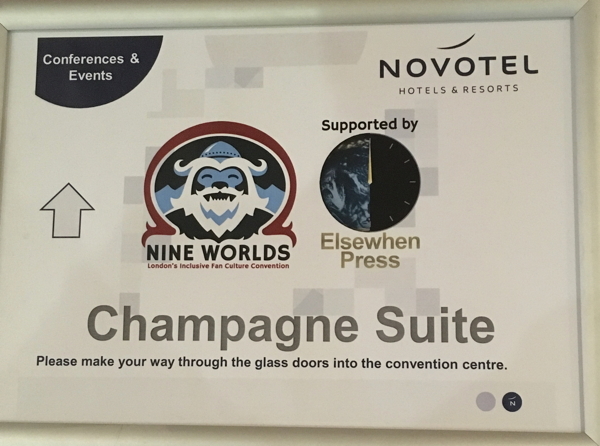 We had the honour and privilege to be gold sponsor for this year’s Nine Worlds and had a very visible presence which was very humbling (every room had a display outside with our planet-clock logo next to the Nine Worlds logo as above). We were very proud to be supporting such a fantastically inclusive event. Friday morning started off rather busy as we had exciting news to pass on: a Press Release about Rebecca Hall’s Symphony of the Cursed trilogy being released as unabridged audiobooks by Tantor Audio; and Peter R. Ellis’ new September Weekes novel Cold Fire (following on from his Evil Above the Stars series) being available in eBook format. When the doors to the Vendors’ room opened at 1 o’clock, there was a queue of people waiting outside. But, overall, Friday was fairly quiet (as at most conventions). Throughout the rest of the weekend it was always clear when the panels had ended (there was a 45 minute gap between sessions to allow for winding down, setting up and getting from one panel to the next – a model that should be followed by other conventions!) as the Vendors’ room quickly filled up for about half an hour and then thinned out for the next hour. After the first of these influxes of people it became clear that we had insufficient light above half of our table (and some other vendors’ tables too) as most of the ceiling lights were in the centre of the room putting our table in the shadow of anyone who was standing trying to look at our books. Meriel from Nine Worlds was looking after the vendors and she and Jess (who was the Nine Worlds interface with the hotel) set off on a mission to resolve the problem. The hotel had no standalone lamps to offer, but a while later Jess re-appeared with a whole load of very cool strings of lights, that she had bought at a nearby Primark, and distributed them to those vendors who needed more light. The lights proved to be an attraction in themselves and I’m sure Jess could have made a decent commission supplying them to all the people who came up to ask where we had got them! As at last year’s Nine Worlds, we spent the weekend chatting to some lovely people: imaginative, amusing, entertaining, thoughtful, even profound at times. It didn’t matter whether they were in the guise of a squirrel, dalek, alien, evil witch, jedi, lemming, or even human. The Nine Worlds attendee badges included communication preference overlays and pronoun stickers to help ensure not just inclusivity but also prevent inadvertent offence (another model that could usefully be followed by other conventions). 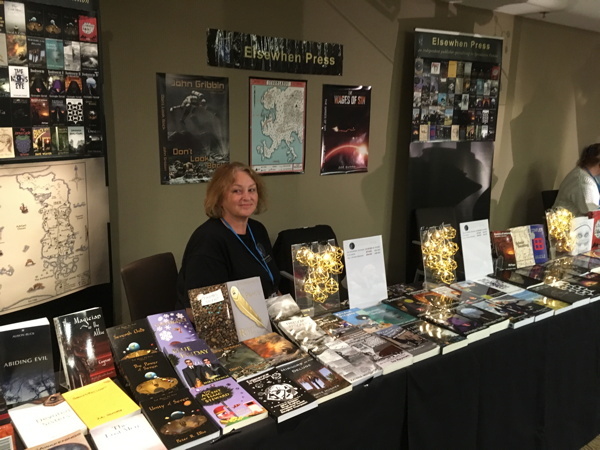 We also endeavoured to sell some books, of course, and had spirited discussion on the relative merits of eBooks and print editions (and, indeed audiobooks) with more than one visitor to our table. On Saturday evening, at 5pm, we held the aforementioned book launch party. Setting up was greatly eased by the unexpected help provided by Nine Worlds staff who were on hand to reconfigure the room for us. 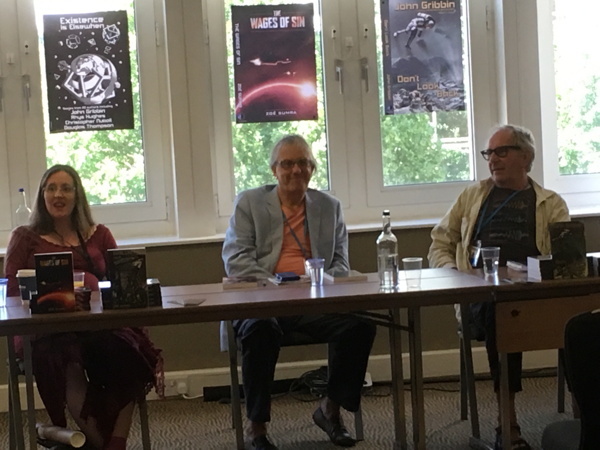 We had John Gribbin and Zoë Sumra reading from their new books (Don’t Look Back and The Wages of Sin, respectively), and talking a little about themselves and their writing in response to questions from the audience and from our interviewer Peter R. Ellis. The audience was not as large as we had hoped – but it’s quality not quantity that’s important and they were a splendid bunch of people! The other advantage of fewer attendees is that we had plenty of wine left over to bring home (which we will be quietly drinking over the next few months). All too soon, Sunday afternoon arrived and the Vendors’ room closed its doors and everyone started disassembling their tables. 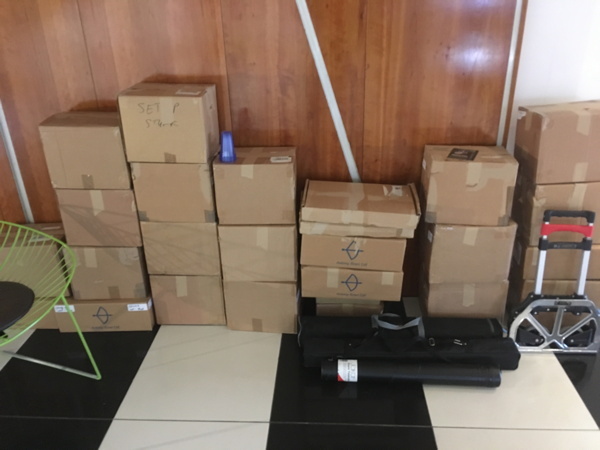 Within an hour, we had our books, posters and other paraphernalia all packed into boxes ready to be taken home (courtesy of our youngest daughter) – and once again the ever-helpful Nine Worlds staff quickly moved our boxes down to the loading area for us while we waited for the car. Sunday evening was spent in a nearby Italian restaurant with friends, enjoying delicious food and lively conversation. Monday morning we checked out and headed for the train home. 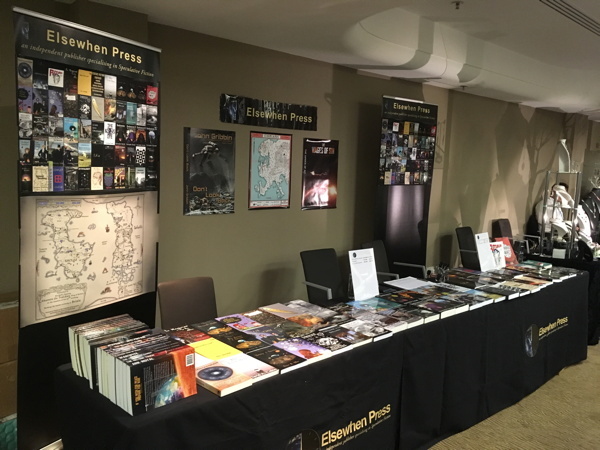 Although we have been attending conventions almost since the inception of Elsewhen Press, it is still both exciting and exhausting. So we are always very grateful for the help that we get from our authors, friends and the convention organisers and volunteers. This year’s Nine Worlds was no exception. We made it through, more or less retaining our sanity, thanks to the support and help of our authors Siobhan McVeigh, Peter R. Ellis, Christopher Nuttall (along with Aisha and, of course, Eric who gains more fans at every convention! 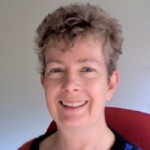 ), Zoë Sumra (with Misha and Sylvianne), John Gribbin, Rebecca Hall, Edwin Hayward, and Susan Oke, and the support of Nine Worlds staff and volunteers especially Meriel and Jess. The Symphony of the Cursed trilogy are the latest Elsewhen Press titles to be available on audiobook, in transatlantic deal announced with Tantor Media Inc.
DARTFORD, KENT – 04 August 2017 – Elsewhen Press, an independent UK publisher specialising in Speculative Fiction, is delighted to announce the signing of a deal with Tantor Media Inc. for the unabridged audiobook rights to Rebecca Hall’s Symphony of the Cursed trilogy. Symphony of the Cursed starts with Instrument of Peace, which Rebecca describes as a magic school setting combined with the reality of the mundane world and horror of the Dresden Files, without any characters named Harry. 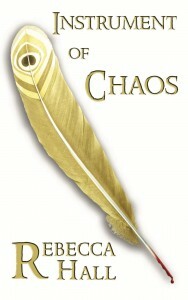 Her trilogy, which continues in Instrument of War and concludes in Instrument of Chaos, sees the main protagonist, Mitch, move from high school to university while he strives to break The Twisted Curse that threatens those around him. This is a fantastic YA trilogy; and, as we all know, YA fantasy appeals to readers (and listeners) of all ages. The first two titles are already available in eBook format, Instrument of Peace is also available in paperback and Instrument of War will be available in paperback later this month. The concluding book, Instrument of Chaos, will be published by Elsewhen Press early in the New Year. 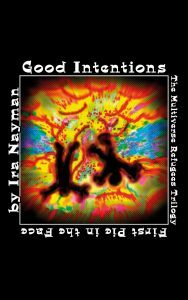 Now Tantor Media will be bringing all three books in the trilogy to the many fans who prefer audiobooks. 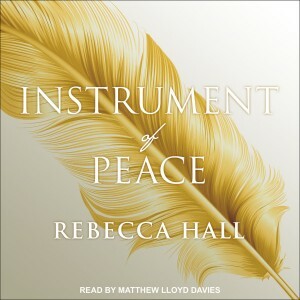 Instrument of Peace, the first book in the Symphony of the Cursed trilogy is expected to be released in audio in September 2017 and will be available through major retailers; Instrument of War will be released in audio in October 2017; and Instrument of Chaos in January 2018 simultaneously with the print edition. 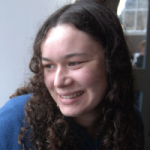 Rebecca started writing when she was supposed to be studying for her exams at Otago University in New Zealand, but somehow passed anyway, eventually graduating with a decorative piece of paper. 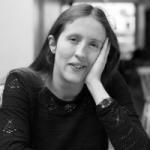 She moved to the UK to pursue a career in publishing and after a couple of mishaps ended up in Edinburgh and sold the Symphony of the Cursed trilogy to Elsewhen Press, which is not quite the career she had in mind. 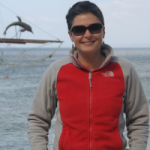 The career she did have in mind was along more editorial lines, which is why she is now a volunteer at Inspired Quill and a freelance copy- editor for everyone else. 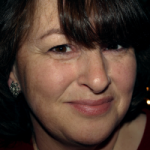 She also has a blog which she infrequently remembers to update, where those mysterious things known as short stories can be found. Instrument of War, the second book in Rebecca Hall’s fantasy trilogy, the Symphony of the Cursed, is published today on eBook platforms. Described by Christopher Nuttall, bestselling author of Schooled in Magic, as “A clever update to a magical school story with a twist”, Instrument of War continues from Instrument of Peace, the first book in the trilogy, as Mitch, Hayley and Nikola return for their final year in the International Academy of Magic at Lake Moawhango in New Zealand. With this exciting trilogy, Rebecca has firmly established New Zealand as a location for contemporary fantasy, not just Middle Earth! Fans of YA fantasy, readers of all ages, have been captivated by Instrument of Peace, impressed by Rebecca’s well thought-through magic system, the depth of her characters, and the believable nature of their relationships. What comes next in Instrument of War will both enchant and surprise. 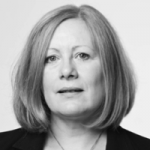 Elsewhen Press is delighted to be able to help Rebecca bring her vision and talent to such an appreciative audience. Instrument of War is available from today on eBook platforms, and will be out in paperback in September. 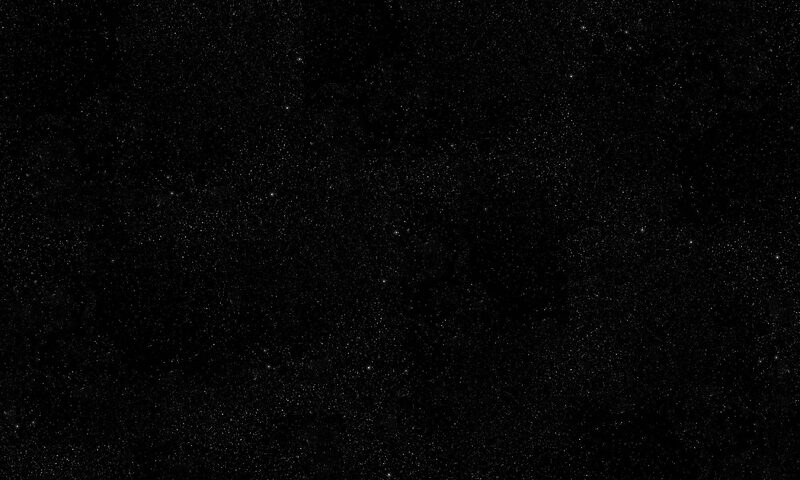 The Eternity War is still being waged and the Academy remains caught up in it. The new Principal is an angel, the Teratology teacher is a vampire, the Instrument of Peace is hiding, but who is the Instrument of War? The Host wants to know what the Academy was trying to hide and why the Fallen agreed to it. They want the Instrument of War, the one thing that can tip the Eternity War in their favour and put an end to the stalemate. Any impact on the Academy staff, students or buildings is just collateral damage. Mitch would like to forget that the last year ever happened, but that doesn’t seem likely with Little Red Riding Hood now teaching Teratology. The vampire isn’t quite as terrifying as he first thought, but she’s not the only monster at the Academy. The Fallen are spying on everyone, the new Principal is an angel and there’s an enchanting exchange student with Faerie blood. Angry and nervous of the angels surrounding him, Mitch tries to put the pieces together. He knows that Hayley is the Archangel Gabriel. He knows that she can determine the course of the Eternity War. He also knows that the Fallen will do anything to hide Gabriel from the Host – even allowing an innocent girl to be kidnapped. Instrument of War, Book II of the Symphony of the Cursed trilogy, will be published in eBook formats in June 2017 and in paperback in September 2017.
which she infrequently remembers to update, where those mysterious things known as short stories can be found. 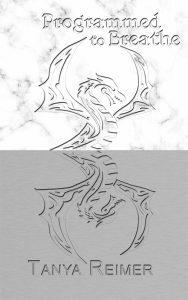 Seregil of Rhiminee has posted a review on RisingShadow.net of Instrument of Peace, the first book in the Symphony of the Cursed fantasy series by Rebecca Hall. He starts by describing this “intriguing” book as “a refreshingly modern yet old-fashioned fantasy novel with an emphasis on entertainment” and subsequently says that it “has clearly been written out of love for storytelling, because when you begin to read it you get a feeling that the author enjoys writing and aims to entertain her readers”. He adds that Instrument of Peace is a “fine addition” to the ever-growing canon of young adult fantasy novels. He goes on to say that as well as being “light and entertaining and having plenty of magic, this novel also has depth”. The Twisted Curse “adds plenty of excitement to the story”, affecting staff and students alike. Seregil enjoyed Rebecca’s “way of writing about the curse and its effects, because I’ve always been fascinated by curses in fantasy novels.” He likes the way that Rebecca “keeps things in motion and moves the story fast forward” so there are no “boring moments”!